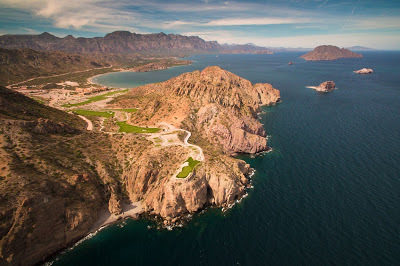 “Part of a luxury master-planned community adjacent to the coastline of Baja’s inland Pacific marine sanctuary, Danzante Bay Golf Club debuted 11 holes late last year. The new seven holes – Nos. 2 through 8 – cover different terrains, including beach, cliff, and canyon. They combine Jones’s creativity with the natural scenery provided by Mother Nature to charm golfers with views that spread out in virtually every direction.” – Taken from American Golfer, December 2017.